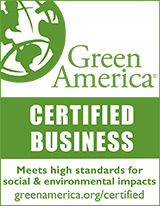 Mark J. Guay, PC is a member of the Green Business Network™ Leadership Forum and is the only Massachusetts law firm that is a Green America approved business. At the Newburyport, Massachusetts, law firm of Mark J. Guay, P.C., we believe a business strategy is a statement of goals and the means for achieving them. Our preventive and proactive law practice assists clients in preparing and promoting their companies to be more effective and, thereby, more profitable. Contact us by e-mail or call 978-465-5333 to discuss how we can guide you toward success. When forming a new business it is essential to choose the right operational entity. We can assist implementing your plan by drafting the necessary documentation to launch your business into a fully functional operation. Trademarks, trade secrets, and copyrights protect your company's confidential information, creative expertise, and products from use by others. Securing and protecting your intellectual property can be a complex process. With more than 25 years of experience in the field of intellectual property law, our knowledgeable lawyer will guide you through the application process and continue to offer counsel on how to strategically protect your intellectual property portfolio. Succession planning is of particular importance when you are a business owner. Not only do you need to put a plan in place that cares for your personal assets and well-being, but you need to plan for the succession of your company. Our law firm can assist you in making decisions that reduce the impact of taxes upon your estate, leaving the largest amount possible for distribution to your beneficiaries. Transformative change involves looking deeply beyond technical problems and addresses core adaptive challenges. It involves translating your strategic plan from your mission statement into your vision. It also involves creating goals and breaking them down into objectives and, ultimately, tasks. Using the classic metaphor, it doesn't matter if you built the perfect "ladder" if it is leaning up against the wrong "wall." We help you to define the wall you are facing and how you can climb it. Knowing your sustainable competitive advantage helps to guide you to execute your vision. We help you to do so.